Prepare yourself and your graphics card for the cooling powers of Thermaltake's Aqua Brazing All Copper Series VGA Water Block! 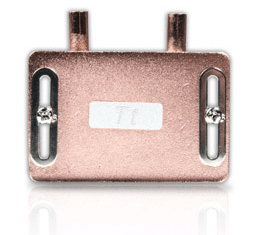 This 100% pure copper waterblock is designed to effectively cool the GPU of your nVIDIA or ATi card allowing for higher overclocks and higher frame rates. The Aqua Brazing All Copper VGA Water Block is easily integrated into your system with its included quick install connectors. This user friendly technology allows you to water cool your graphics card faster then ever!